Destination weddings at resorts are can give couples mixed feelings. 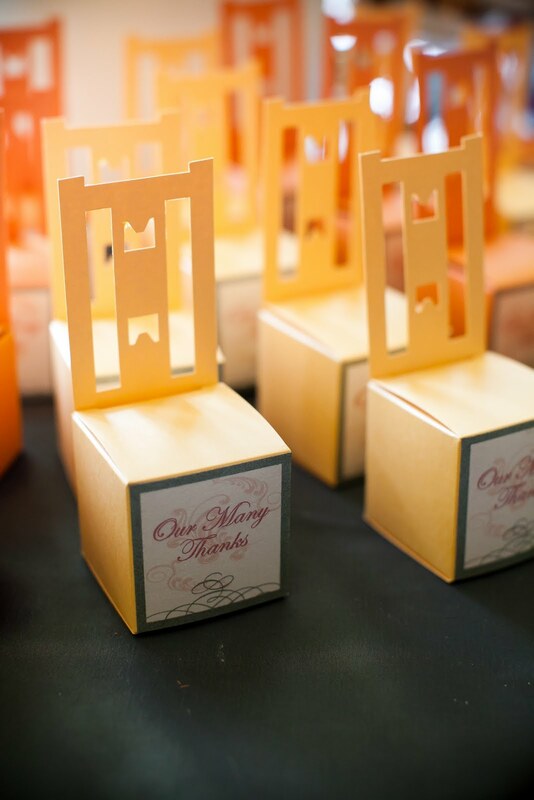 If it is important to the couple to find a way to set themselves apart from everyone else who has explored the path of the same wedding package, they may feel over whelmed. The question that is asked is, “How may I make our day, OUR day without looking like everyone else?” Also, where do you begin? A suggestion would be to work closely with your destination wedding professional and takethe base wedding package and make it so much more! The base wedding packages for destination weddings, at most popular resorts, really cover the bare essentials for what a wedding should begin with. You may have the basic bridal bouquet, boutonnière for the groom, and a centerpiece plus one tier wedding cake for the reception. That is hardly wedding calibre of what a wedding should be if you where wanting more. So how do you obtain that without breaking the budget? Simple, work with someone from home and add on! 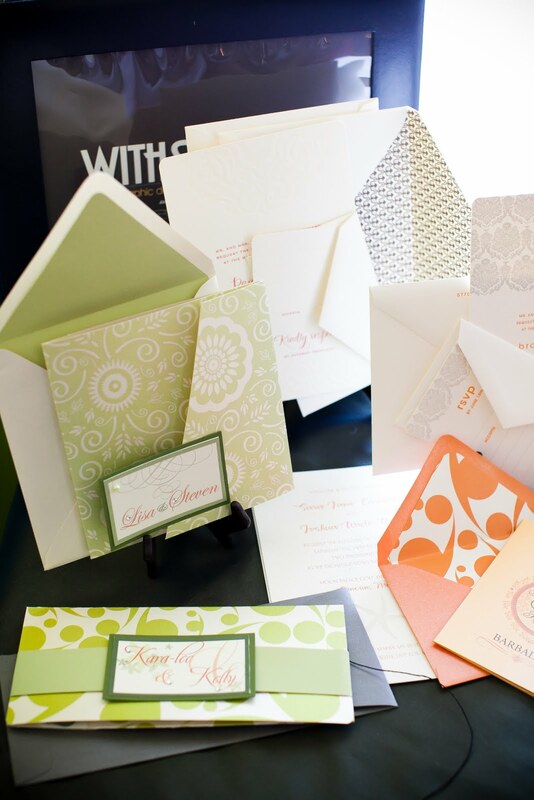 The basic wedding package is basically that, the base. Th ere are 2 options available: 1. Adding on with the resort and not worrying that you have to bring anything with you but your clothes and love and 2. bringing the extras to make it yours! Both answers are perfect for the right couple. To have the piece of mind that you are taken care-of and nothing needs to me carried with you is peace of mind in itself. If you where planning to organise everything through the resort, the areas of compromise are that colours may not match through out the wedding, nor florals my not be cohesive or even be on the colour scheme you are requesting. 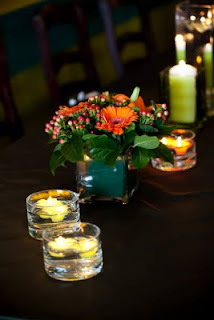 Tropical countries offer natural flowers that are bold and vibrate in colour and they may not always keep with a theme. Example: many bouquets are filled with local tropical flowers, but you may end up with a bouquet of orange, yellow and vibrant fuchsia together. 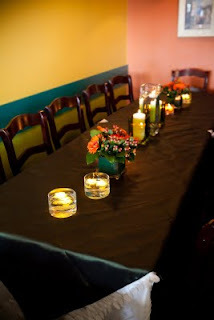 It is all in one’s taste on whether or not you embrace the location’s charm and what they have to offer. Now if you prefer to have more control on the over all look of the wedding it will take a little more planning. 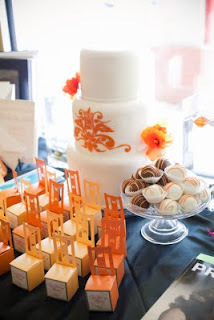 As with any wedding choosing the base colour scheme is intrical. Next would be to find out what the resort can offer as far as guaranteeing that themed colour so it is cohesive. It is important to note that bouquets are not always the image of perfection as they are here. A great alternative is to have a local floral designer make up bouquets for your wedding party from high quality “real feel” flowers. The key with faux is that any colour is achievable and transportable. If quality faux flowers are chosen, they also can be taken home and remade into something you will see everyday in your future home. If packed correctly, they will travel impecitively and will look fresh even in intense heat. 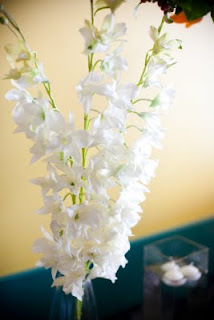 You also have the added bonus of using your bouquet again if you have planned your day after shoot. 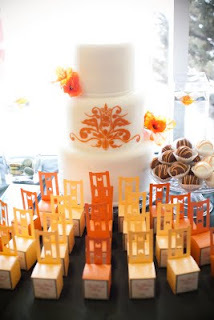 Here are a few other tips on how to work with your resort to create your special look: Tiffany Chairs (what we locally call Chiavari chairs) are now available at most 4 – 5 star resorts in the Caribbean and Mexico. They add elegance to a room without a tremendous amount of fuss. Another tip is to add additional centerpieces to add to the look. One of the more standard centerpieces at resorts right now are the 24” cylinder vase with a floating candle. They are either trimmed with a colour ribbon or steamed faux flower submerged in the water. 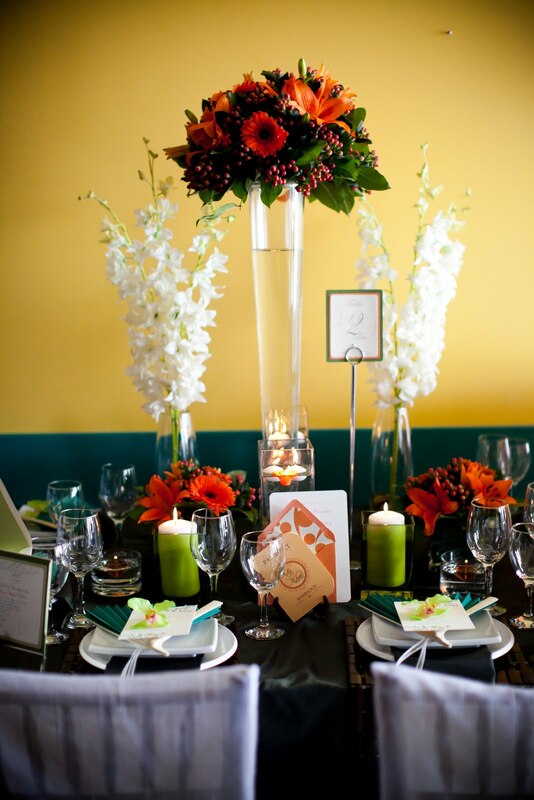 Depending on the size of the reception and number of guests, seating is more often long rectangle tables, with a family style set up. This usually is a result to not having enough guests for multiple circle banquet tables. 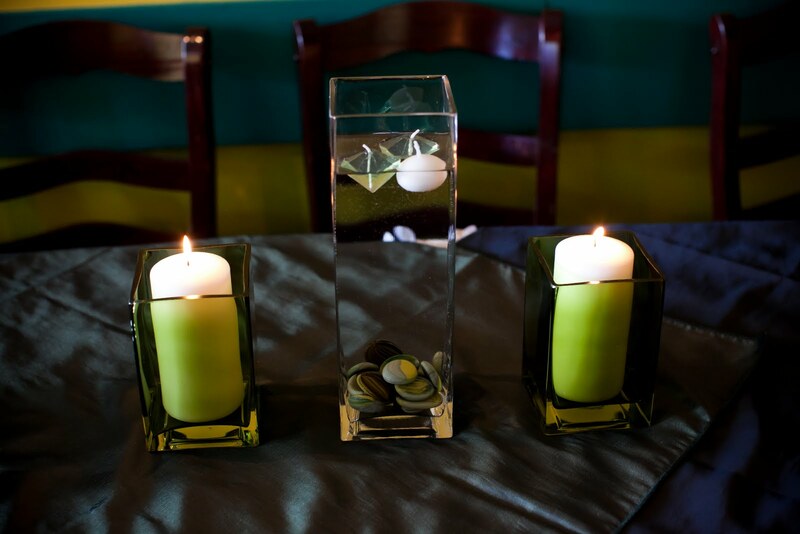 One cylinder or tall rectangular vase can easily be lost on a table of that shape. 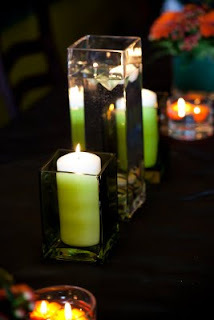 Adding a few additional cube or smaller height vases filled with flowers gives texture, colour, and contrast. 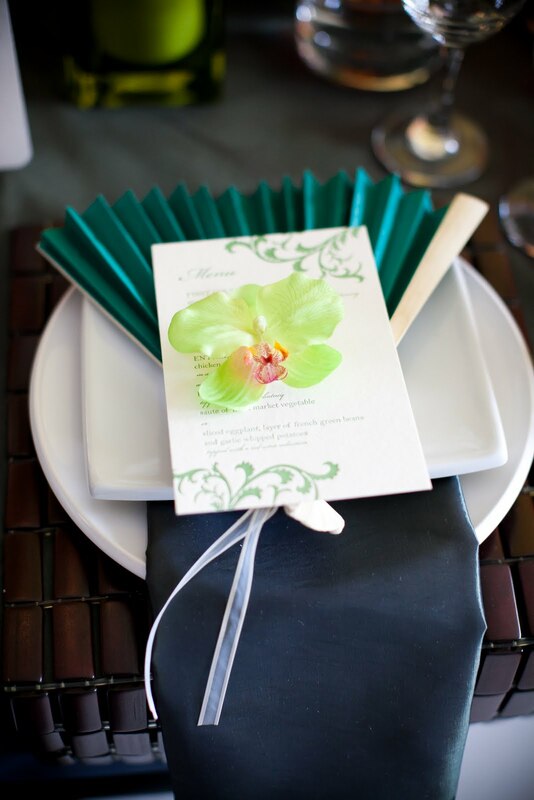 For those who want to add even more onto the look, bring long steamed faux orchids or exotic flowers and rent vases from the resort. Adding 3 tiers of height completely changes the look. 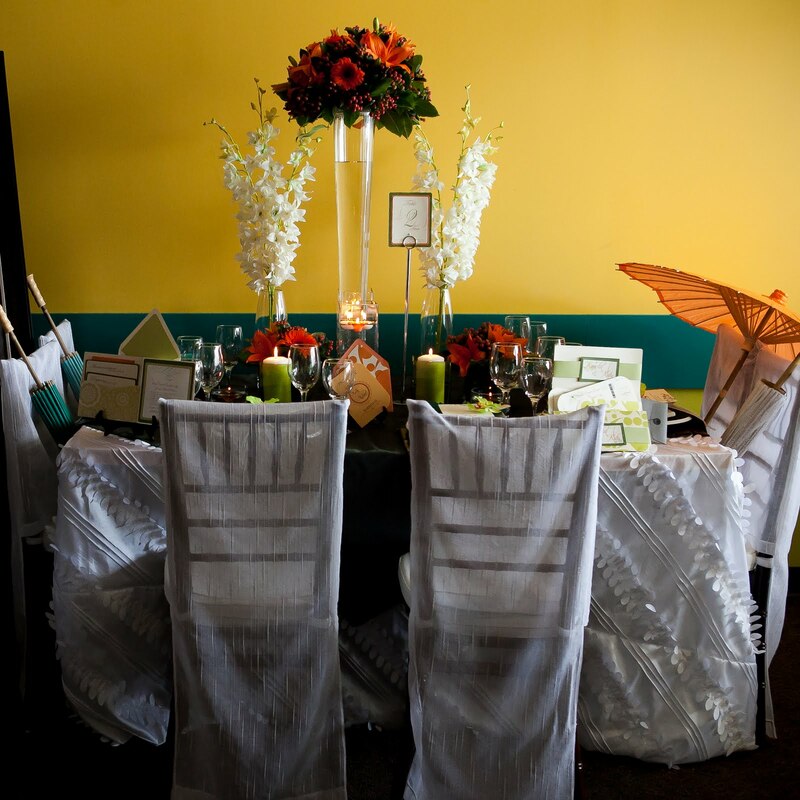 Another way to make the reception’s look more distinctive is adding linens and Tiffany chair covers as you would at a wedding locally. Most resorts offer a few options for linens. Overlays or runners are now being offered additionally as well, but are not always very affordable if rented threw the resort. But why not rent from home and add to the look? Locally we have amazing options, and thinking ahead will give a finishing touch. Elegant over-lays bring colour to the room, while custom tiffany chair covers as a final look of elegance to an already gorgeous look. Both pack small and light. Renting locally and bringing to the resort is a great way to combine the local charm with something more current and tailored. It is important to mention that there may be special deposits with local rental companies to make such arrangements. 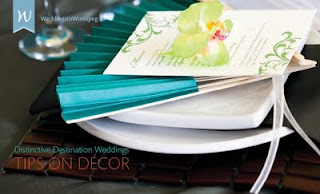 The last fun item to consider for your destination wedding is practical fun items such as coloured parasols and fans. Giving fans to all attending guests at the ceremony gives a little touch of colour throughout the crowd and comfort to everyone. Parasols are a fun way to have as an alternative or addition to bouquets for bridesmaids and possibly attendees. They are both elegant and functional. Destination Weddings do not have always have to have the look that they where chosen from a catalogue. It is always important to find an experienced professional who can make your wedding, your wedding. Travel and Events with Style has dedicated their services to find ways for couples to have a wedding abroad tailored to their individual tastes with quality and with style. Between offering services in house or finding the best possible suppliers, it comes down to planning your day and making it full of wonderful memories.